Medically-related power needs have become a great concern as people choose to age-in-place, or have an elderly or ill loved one living at home that needs round-the-clock power. Today’s automatic whole house generators are often the answer to the problem. 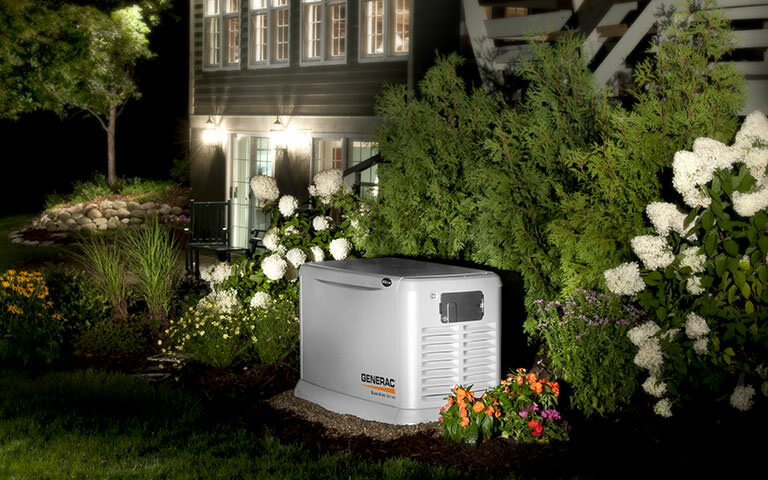 Quality Electric Service is a distributor for Generac Power Systems which makes automatic stand-by generators. An automatic generator provides its owner with close to continuous power, even during a power outage. The machine recognizes when there is a power outage and automatically goes on within 10 seconds – making for a seamless transition. I am a veteran and have difficulty getting around physically. I have refrigerated medications, so I thought a whole house generator would be a good idea. I really started thinking about getting a generator one night when I was at my sister’s house for a holiday. A car accident caused the power to go out at her house and all the food she had prepared had to be thrown out after the meal. It made me think about what I would do if I lost power for any length of time. Even though I may never use it, I feel better knowing I will always have power, even if there is an extended outage… Bob F.
My mom lived with us for 11 years. She had chronic COPD requiring continuous oxygen throughout the night and could not be without oxygen for more than a few hours. We were building a new home and decided to get a whole house generator – however, it wasn’t installed yet when Superstorm Sandy hit. My husband and I were frantic and finally, after an extensive search, we found a small portable generator that got us through the storm period. The whole house generator was installed five days after the storm and it has given us incredible peace of mind ever since. It was a medical necessity for my mom, especially because we lose power frequently in my neighborhood. Once we lost power for three days after a winter storm and not only did we not worry about my mom, we had no concerns about the food in the freezer, appliances working or heating the house. A whole house generator has been an absolute lifesaver for our family… Mary H.
For those with disabilities a whole house generator can offer a world of comfort even during storms and power outages.